Laura studied at Lancaster University and achieved a Distinction in her Legal Practice Course at College of Law, Chester. She qualified as a Solicitor in 2011 and was based in the West Midlands before moving to Shropshire. Laura achieved Associate status with Clarkes in August 2017. Strengthening the Family Department, Laura specialises in all areas of family law including divorce, financial matters including pre and post nuptial settlements. 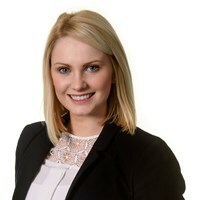 Laura also advises on issues relating to children and has expertise in cohabitee disputes. In 2014, Laura was commended by the Wolverhampton Law Society as junior professional of the year for her dedication to client care. Outside of work, Laura has been the Chairperson of the Black Country Junior Lawyers Division and Secretary of the Walsall Law Association but she now spends her spare time taking part in charity fundraisers.